Access DATABASE solution on cloud raise your IT efficiency and bussiness system productivity. 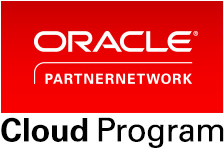 As an Oracle Gold partner, Access Infotech provides professional Database cloud services and implementation support for the Cloud Oracle product ecosystem. Run your business any time, any place with the one mobile app for Android. With complete integrated Access Database Cloud solutions, drives nonstop improvements across your organization. Reduce your infrastructure capital requirements and access skill improves security & compliance & drive growth. Now days, fast-growing companies have started adopting cloud based database solutions very rapidly. Small or large, every business seeks to minimize costs. With Cloud Database solution from Access Infotech Pvt. Ltd. provides the way for success with everyone across your organization playing their part 24/7/365. â€¢ At the highest level, the benefits provided by the Database Cloud Service fall into four main categories. Simplicity â€“ The Database Cloud Service is simple to provision, simple to administer and simple to use to develop and deploy all types of applications. Portability â€“ The Oracle Database Cloud Service is built and deployed with standard Oracle technology that can be easily moved to any platform that supports an Oracle Database â€“ in the Oracle Cloud, your own organization or an individual laptop. This portability means that you are not trapped into a single proprietary platform â€“ you can develop and deploy to suit your business needs. Enterprise strength â€“ The Oracle Database Cloud Service is built on Oracle technology, the standard for enterprise strength for decades. For the Oracle Database Cloud Service, simplicity does not limit capability, flexibility or functionality.